Law of attraction, power of thoughts,subconscious mind, spirituality: Online hypnosis training courses. Hypnosis! A very intriguing,mental health healing method that has been in practice since several centuries. I wonder who taught Hypnosis to those early practitioners. However, the Internet offers the facility to learn hypnosis online! I thought hypnosis is better taught in person. 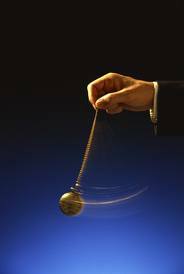 After all, hypnosis is all about person to person interaction and it in fact requires intense communication. A couple of days ago, I saw a directory listing application from http://www.hypnosistrainingcourse.net titled "Online Hypnosis training course". I approved the application after reviewing the site. It is actually a review site of various online hypnosis training courses. The reviews were by the admin of the web site. I have read positive feedback in newspapers and magazines that they were relieved of their anxiety and depression after a few hypnotic session. Contact us via: nativedoctor101@live.com !